Spring is here; melted snow has revealed green grass over half of the front yard. You see people on the sidewalks at 10 pm taking a leisurely stroll because it’s not only warm (+45 F) but light out still at that hour now. Bicycles are on the roads again. The greenhouses are open; people are out raking their yards of the winter debris and prepping for the long-awaited gardening season. Just yesterday a guest stated what I was thinking; give me that dirt to dig in; it doesn’t drain me, but rejuvenates. Apparently it is therapeutic for more than just me. 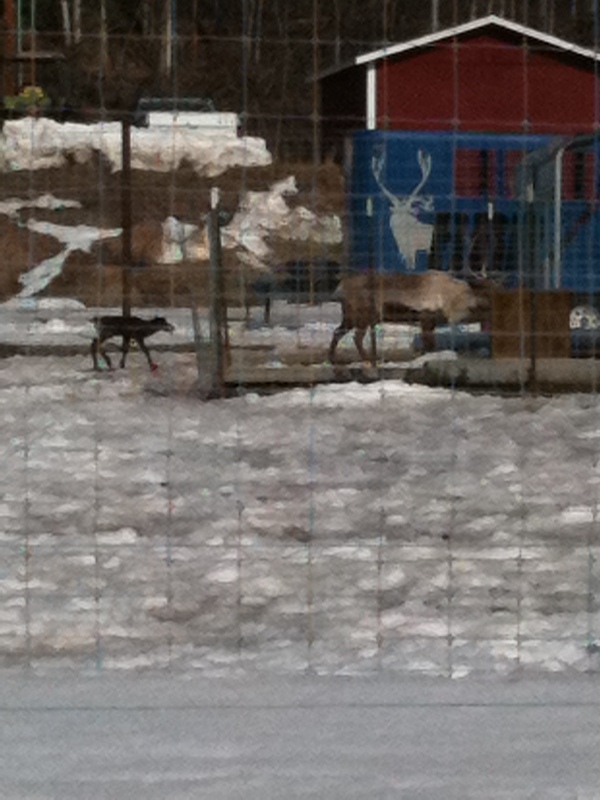 A drive by the UAF agricultural farm reveals brand new baby reindeer. 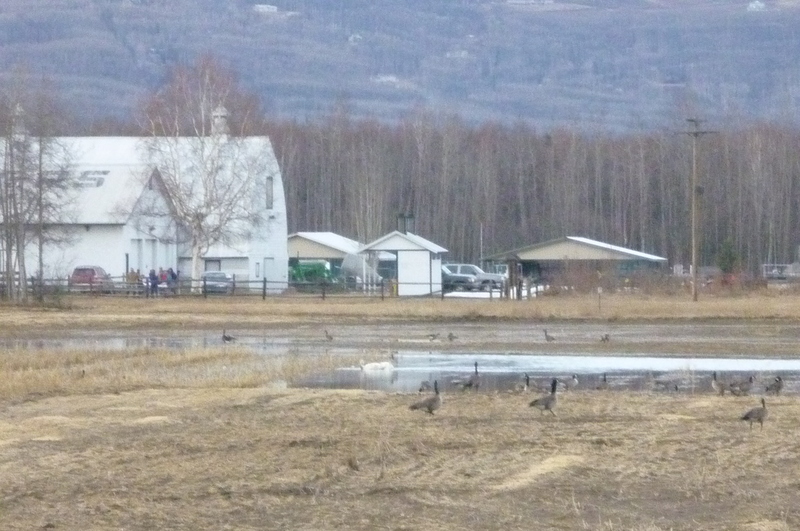 Just down the hill from the farm you can see some of the returning geese, swans and other migrational birds feeding on the grain that’s spread out over the fields in anticipation of their return. Spring and new life is in the air. You are currently browsing the AllAboutAlaska blog archives for April, 2014.